Barnes & Noble Chairman Leonard Riggio wants to buy the company's stores, and leave the company's Nook e-book business as a separate company. Riggio, who disclosed his plans in a filing with the Securities and Exchange Commission on Monday, did not name a price. Shares jumped 8% in early trading. 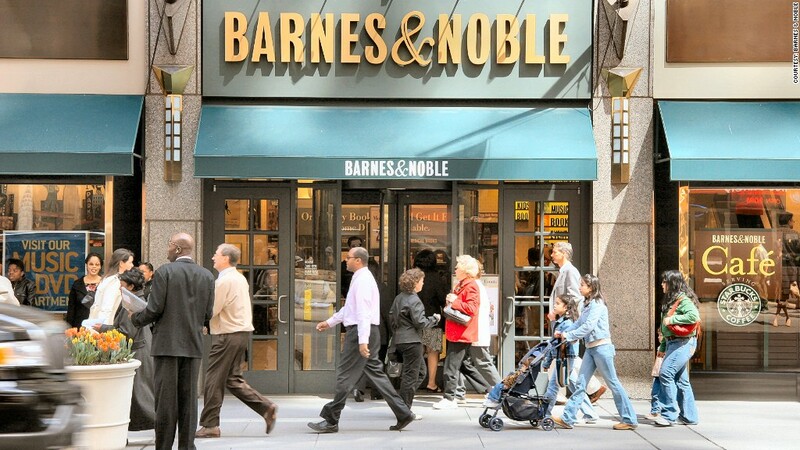 Riggio is already the largest shareholder of Barnes & Noble (BKS), with nearly a 30% stake in the company. The company had already been considering spinning off the Nook business as a separate company. Last April, it announced a deal with Microsoft (MSFT) in which Microsoft bought a 17.6% stake in Nook. Publisher Pearson (PSO) bought a 5% stake in Nook in December. Those deals both value the overall Nook business at more than $1.7 billion, even though Barnes & Noble stock is worth just less than $800 million. In early January, the company reported a weak Christmas season, with sales at its retail stores falling 11%. Sales at its Nook unit fell 12.6% to just $300 million. Earlier this month, the company warned of rising losses and disappointing sales for its Nook unit in the past year, results of which are due Thursday. Barnes and Noble and other traditional book retailers have struggled with competition from Amazon.com (AMZN), which has its own Kindle e-book. Borders filed for bankruptcy two years ago and went out of business in July 2011.